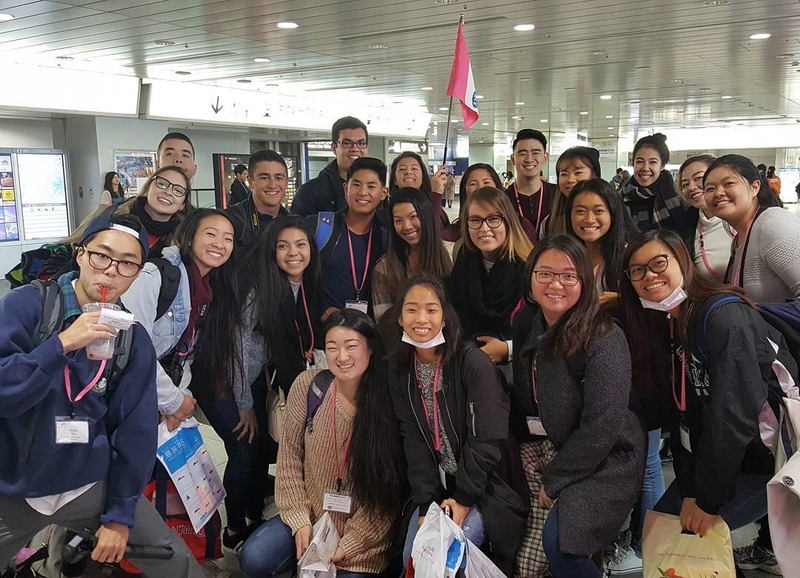 Ninety Japanese American and Asian American participants traveled to Japan on Dec. 13 as part of the JACL Kakehashi Project. The group is part of a broader program funded by the Japanese Ministry of Foreign Affairs to foster cultural exchange between different countries and Japan. Participants are exploring Japan, beginning in Tokyo before splitting into groups to Osaka and Nagano. They will be provided educational sessions about Japan’s economy, politics, people, and community. The trip also includes a homestay experience in which students will be hosted by Japanese families. This trip’s participants range in age from 18 to 25 and represent a diversity of states from Hawaii to Vermont to Florida — 13 states altogether. The group consists of college students and young professionals representing many colleges and universities as well as a broad spectrum of interests and majors. If you’re interested in participating in a Kakehashi trip, the next one will be March 12-20, 2018. To apply, visit the website (https://kakehashi.jacl.org/) and get your applications in by the deadline: Jan. 2, 2018. In addition to the funding from the Japanese government, some domestic travel for student participants is provided by Southwest Airlines.